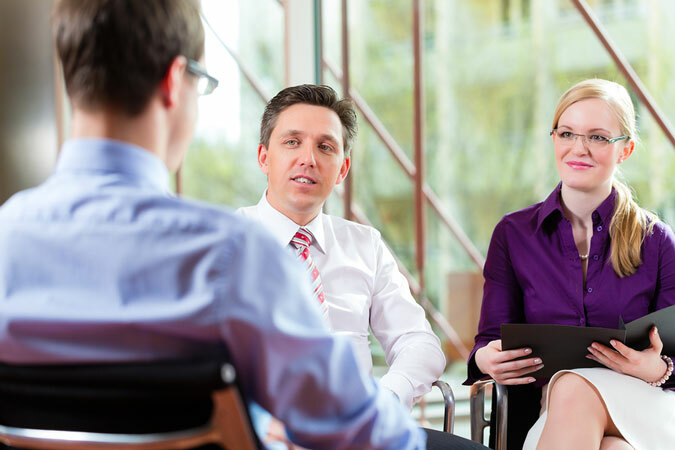 Most competency-based or behavioral interviews will be between one-two hours long. The length of the interview will usually reflect the seniority of the post you are being interviewed for. The amount of industry or market knowledge you are expected to know will have a direct correlation to the level of position you are applying for. This includes your awareness of the organization’s main competitors as well as any regulatory body or legislation that it must operate within. When you answer questions you will be expected to illustrate your answer with an example that shows how you displayed the required competency. Each candidate will be asked the same questions so it is important that you use well thought out examples. How employing you would benefit the organization. One of the most popular methods used to create and identify competency examples is STAR (Situation, Task, Action & Result). Each of your examples must show your ability of a particular competency in a clear and concise manner. It is important that your actions and the reasoning behind them is succinctly described and matches the role’s pre-defined criteria. The explanation you give for each competency should last several minutes. The length of your answer should reflect the rank you have given the competency. Another little trick is to take a sip from your drink giving you the time you need to gather your thoughts and select the best situation to demonstrate your capabilities for this competency. There will be some questions aimed at understanding what benefits you bring to the organization and the team. When answering these questions you need to bring out examples that demonstrate the key strengths this organization has over its competitors as well as what its about the organization that attracts you to work for there. 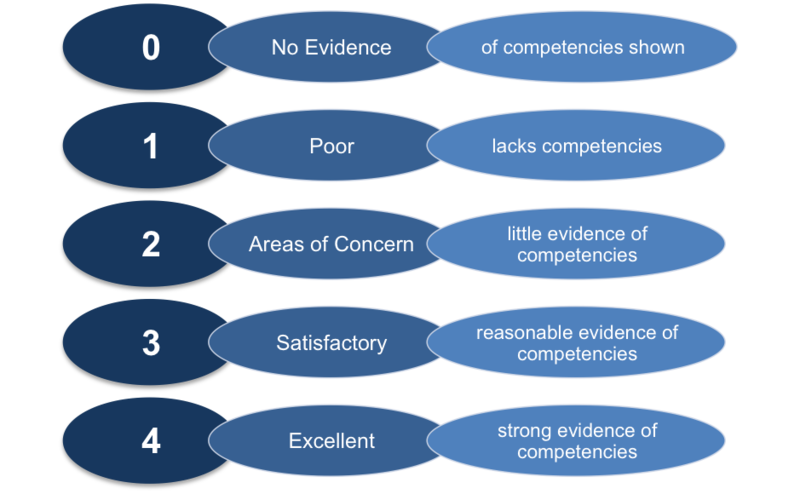 The most popular method of rating your performance during a competency-based interview is the five-point scale show in the diagram below. All your competency examples must score at least a ‘3’ or ‘4’ for you to be awarded the position. As with all interviews make sure that you give a favorable impression of yourself as you walk in. We’ve all heard the phrase ‘first impressions count’ well they do, so don’t throw away an opportunity in the first few minutes. Make sure your dress matches the code of the organization. If in doubt be more formal. When presented with a problem approach it from a positive perspective. Show you are willing to compromise when needed. Demonstrate that you will readily seek out others if the situation requires it. Explain the effective strategies you use when dealing with stressful circumstances. Make sure to acknowledge broad viewpoint when discussing situations. 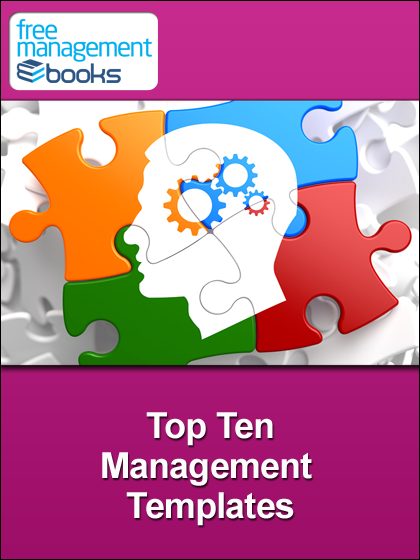 If you are looking for promotion, then our range of Management Assessment eBooks will give you all the help, advice and practice you need to get the job you deserve. 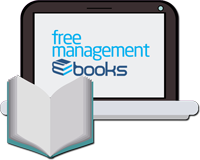 These downloadable eBooks provide immediate access to expert know-how and essential insight that will give you the edge over the competition. Remember, assessment tests are now an integral part of the recruitment process, especially when it comes to finding candidates for those coveted top jobs. So, it’s hardly surprising that seemingly well-qualified candidates are being overlooked in favor of applicants that excel at assessment tests. Over 95% of the candidates who fail these tests did not do enough practice – Don’t be one of them! Click here for details. Preparing for a competency based interview means that your answers should demonstrate that you have the capability and commitment to do the job and that you will fit in to the organization. Your answers also need to demonstrate that you have the knowledge, skills, and attitudes appropriate for the role. Competency-based interview questions are behavioral questions, in which the interviewer will ask you to describe a situation which demonstrates your abilities that will be integral to the role you’re applying for. Organizations use a competency framework that reflects the competencies and associated behaviors that are required at each level of management.